In Eagle Pointe, you will find the perfect balance of a traditional neighborhood and a modern one. This family friendly neighborhood features a beautiful pond with a dock, several nearby parks, access to over 25 miles of walking and biking paths near the Red River, and wide-open spaces to play. 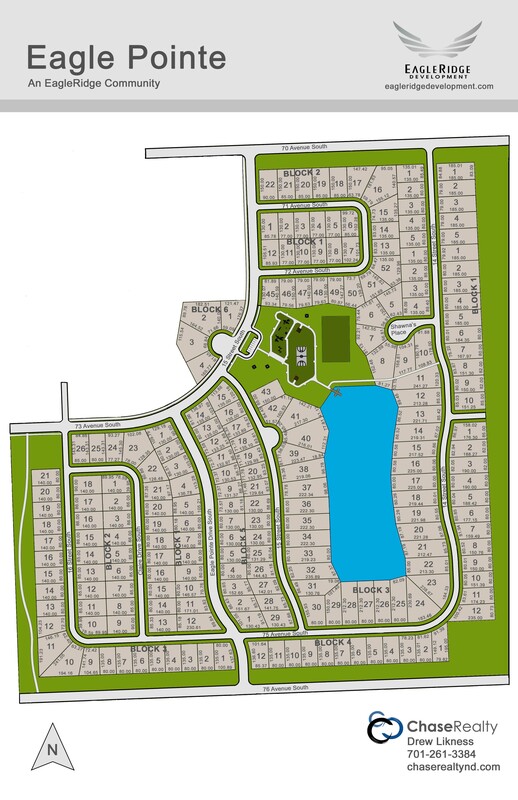 This master planned community is located between 70th avenue and 76th avenue, just west of University Drive in south Fargo. There are four schools nearby, including Fargo Davies and Shanley. Proudly powered by WordPress | Theme: eagleridge by Hash Interactive.